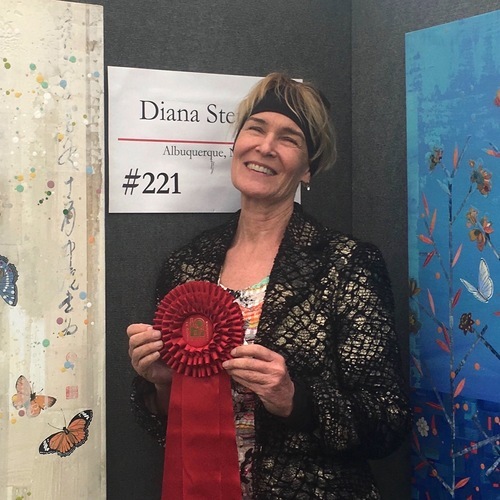 La Quinta is the number one art festival in the country, so it's quite competitive to be chosen to exhibit at it every March. This year I was given the added honor of receiving the Best in Mixed Media Painting Award. Thanks to all of my loyal LA-area collectors and the La Quinta staff for the record-breaking 2019 sales. For the second year, Stetson’s paintings are featured at Convergence Gallery on Canyon Road in Santa Fe at her show The World Will Be Saved By Beauty. 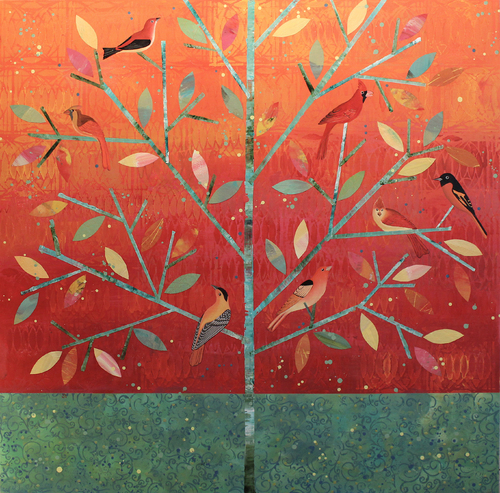 The 4’x4’ work on panel, Red Birds Watching, was one of 32 paintings chosen from 554 submission in June, 2018. 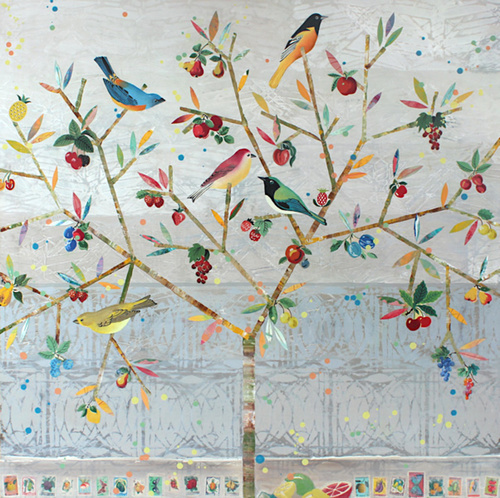 The paintings will be installed in the fall in various public venues around the city of Albuquerque, and will remain in the public art collection for posterity. 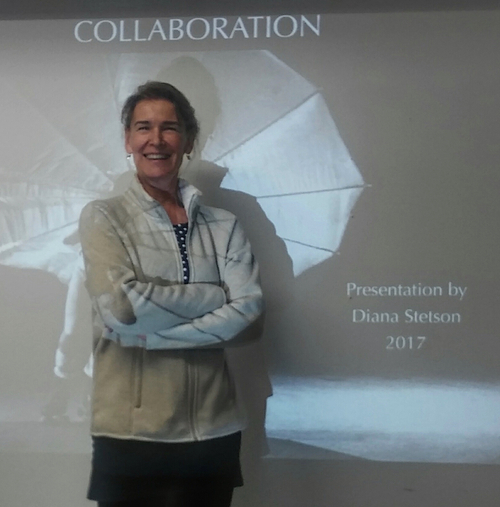 In November, Diana Stetson was invited to present to the Rio Grande Arts Association. Her presentation covered eight diverse collaborative projects as one facet of her thirty-plus-year career. Stetson discussed some of the benefits she has experienced as a result of these exchanges, as well as a few key aspects of successful collaboration.